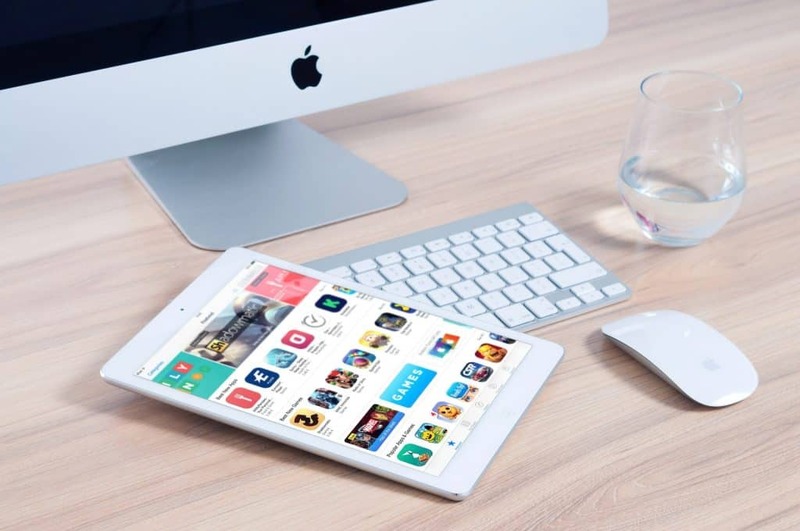 Social media is a huge part of our everyday lives with more people using Facebook than any of them but most of us using a range of sites such as Twitter and Instagram on a daily basis. As bloggers and small business owners, we all know that social media is important for growth and readership. But mastering it can be tricky with the ever changing algorithms. 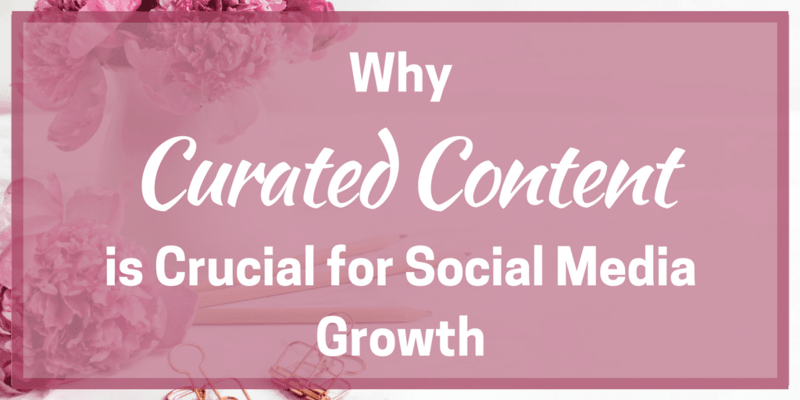 For me, curated content is crucial for social media growth for two reasons. Here’s what they are and how to go about it. Ever seen an article while reading a news channel website and shared it with your friends on Facebook? In a sense, that’s curated content. It is stuff that you have seen, decided was of interest to others and you have shared onto social media. When you are a blogger or a small business owner, then curated content takes on a more serious form. Curated content becomes a way to draw readers to your Facebook page, your Instagram account or to get them to follow you on Twitter. It offers value to readers and increases the chance that the gods of social media will allow your other content, the stuff you actually write, to also appear to interested people. So reason one that curated content is crucial for social media growth is that it is good for your page/profile or other variation. It shows you aren’t just selling your products or talking about your blog posts and adds value for your audience. What about the second reason? Ever sat before an empty editorial calendar and wonder what the hell you are going to blog about this next month? Or got one spot left and have no idea what to fill it with? This is the other reason that curated content can be so useful. 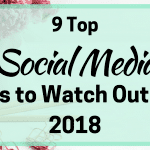 As you are searching around the various tools for curating content (more on those in a minute), you will often notice articles that inspire you or facts that give you an idea for your own blog. By keeping a record of these, you will have a ready supply of ideas for blog posts in addition to grabbing useful content for social media. My person system is that anything interesting gets sent to Pocket. If it is for inspiration for a post, I use an IFTTT recipe to tag it and send it to a list on Trello. This list is my ideas board and if I am going to use something from the post then I can copy the Trello link and add it to a card on the editorial calendar. If not, it can either hang around in Trello or even in Pocket until I need it. One last point before we move onto the ‘how’ of curated content. If you share an article, post or other content from someone, there is a chance they will notice and might acknowledge you. They may retweet something you have written, comment on a post or even share something of yours. 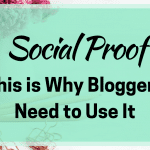 It is a good way to build up relationships with other bloggers and businesses and help each other out. And you never know, you might just get an acknowledgement from someone big in your industry or even someone famous! It is a small chance but it does exist, especially if they are someone for them actively monitors mentions, Tweets and other connections. This is how I curated content for The Blogging Blog and my other projects. While they are still very much in the trial and error stage, I think the results will come in the end and I enjoy the whole process too. My first tool of choice is Flipboard. This is a news site where you can follow topics and get to see the latest stories on them. You can start your own magazines and add your own content as well as content that you like. But most of the time, if I find an interesting article I do one of two things: I either save it to Pocket or I add it to Buffer. 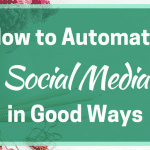 I use Buffer for all of my social media apart from Pinterest, which I use Tailwind in its place (Buffer does do Pinterest but I like the extra features of Tailwind). I select the article in Flipboard, skim through it and if it fits the bill, then I use a browser extension to add it to the queue for the relevant social media site. You can also use sites such as Feedly, Reddit and Stumble Upon in a similar way and doubtless there are hundreds more sites out there. You can also use your favourite news website in a similar way for big name headlines. Another part of my sharing plan is to share content from other bloggers who are growing their blog like me. Therefore, particularly through Facebook, I like their pages as my blog page. You can then pick up their latest Facebook posts and follow through o their blog for their latest articles. Onto Buffer these go for scheduling. Finally, Buffer also has a Content Inbox feature where you can follow blogs or websites and get an RSS style feed to monitor. You can then either click through to the article to read more or Add to your queue with your own little addition to it. I admit I’m very much an instinct person about my content. If I think it is interesting and my audience might find it interesting, then I share it. But there are other more technical ways to judge what content to share. One example is to look at trending topics that are relevant to your niche. Flipboard has a trending area for content that is getting a lot of attention at the moment while BuzzSumo is another way to find out what’s popular. Even looking at the social stats of an article will give you an insight into whether it is getting attention and shares. If you are focusing on Twitter or Instagram, you can also search by a certain hashtag to see what is being said or shared. Say you are a #blogger or a #foodblogger, you can search for these hashtags and see what is the most popular topics. You can then retweet or even post about these topics but be careful to make sure it is relevant to what you do otherwise you’ll seem like you are just jumping on the bandwagon! The final question about content curation surrounds how much and when. There are a million answers to this question with everyone having their own ideas. My idea is simple – I let Buffer tell me when and I use suggestions from CoSchedule and other reliable sources. For Facebook, I usually post once or twice a day including my own content. I try to reach a similar amount for Instagram though this is a pending project for me. If you are into LinkedIn and Google+ then it is similar. Twitter is where you can go a little nuts – some people say as many as 25 times a day! But I try to post about 7-8 times, one of which will be about my latest post or other content or my own. Pinterest is another area where you can go a little nuts and isn’t really a social media network. As for scheduling, I use the suggested schedule from Buffer based on assessment of my past posts, done per network. Simply tell Buffer how many times a day you want to post, it will assess the best times and set up your schedule. 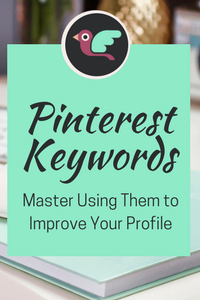 For Pinterest, Tailwind does something similar, allowing you to add slots it recommends so you post as many times as you want. There are lots of ideas about how much yours and how much theirs you should share. Some people say 20-30% your stuff with 70-80% someone else’s. I tend to stick to this loosely so for every post of mine, I try to find 6-7 of someone else’s but if I have a little more me and a little less everyone else, I don’t lose sleep over it. Trial and error, as with much in blogging, is key in my opinion. Have you had success with curated content? Or do you have a favourite tool? I’d love to hear about it! I did not know about Flipboard. I will have to check it out. Thank you for the resources. Very welcome! I like how you can follow topics in Flipboard, makes finding the right stuff a bit easier. And there is often stuff from bloggers as well as big name sources so a nice balance. Hope you enjoy!